Hendrick Beikirch, or ECB, is seeking to change our perception of what graffiti is or can be by extending its limits. ECB is a German painter working on large-scale black and white or grayscale murals in public spaces worldwide. This new book is a compilation of the artists work, and provides insight into that work through both interviews and photographs of his process and execution. ECB looks for new approaches and blurs the lines between fine art and graffiti. The scale of his outdoor murals does not take away from the familiarity created in his portraits, often of anonymous faces, making the work accessible to the masses. 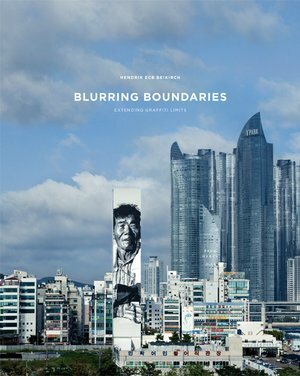 The astounding scale he works at is made evident in one of his best-known works, _Where there is no struggle, there is no strength.î Located in Busan, South Korea, the mural of a local fisherman is over 20 stories and measures 230 feet, making it Asias tallest mural. 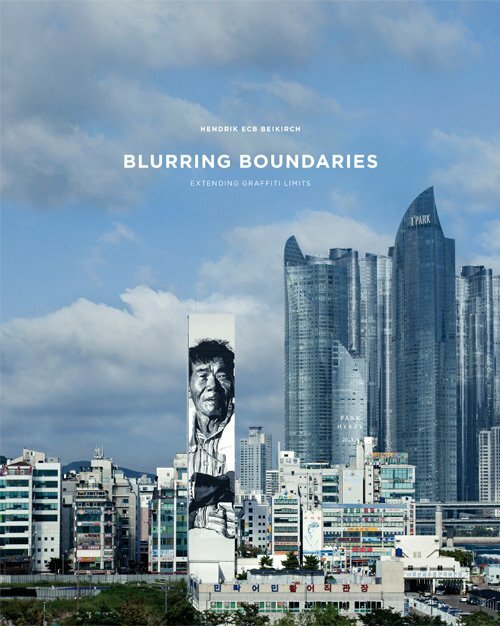 Photographs in the book show the work in progress, as well as its context situated against the backdrop of Busans skyscrapers. Blurring Boundaries is an intimate photographic look at ECBs process, body of work and the people who inspire him.